In the run up to the centennial of the armistice that put an end to World War First to be marked on November 11, 2018, Armenian President Armen Sarkissian urges world leaders to recognize or remember the Armenian genocide within that framework. “I don’t know how we can speak about the First World War without going back to the tragedy of the Armenian nation – the Armenian Genocide. 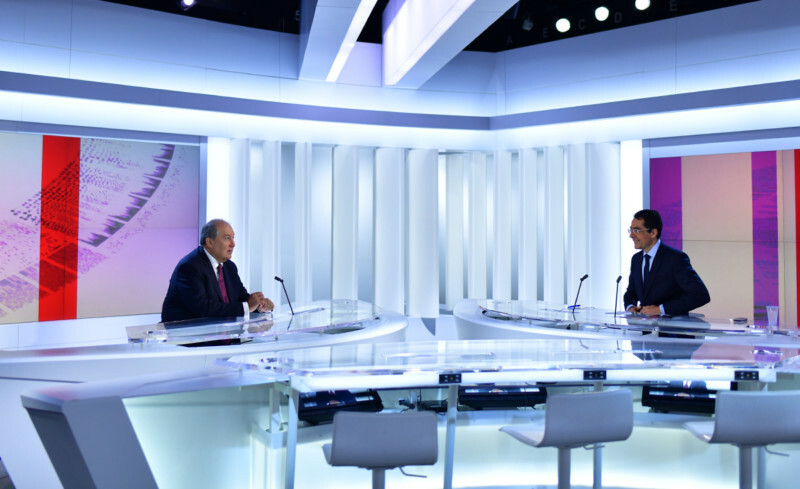 The recognition or remembering by heads of state would be highly appreciated by the Armenian nation worldwide,” President Sarkissian said in an interview with the Swiss Radio and Television Company. “Recognition of the Armenian genocide is not recognition of an individually taken tragedy of one nation. First of all it was the first genocide of the 20th century,” he said. “Because it was not prevented, because it was not recognized and condemned, it led to further genocides in the 20th century,” the Armenian President stated. Armen Sarkissian said he would also speak to Erdogan about the future of their children and grandchildren.